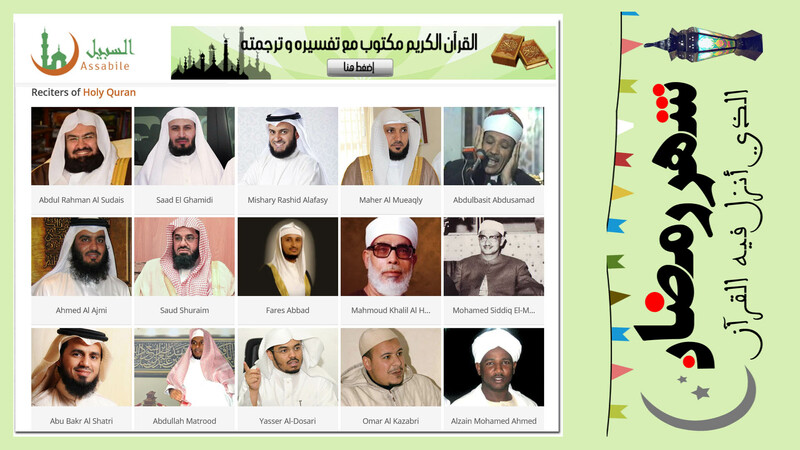 Learn All About The Stories of The Prophets, & All Islamic Wajibad & The Sunan. Ubayy was born in Medina (then known as Yathrib), into the tribe of the Banu Khazraj. He was one of the first to accept Islam and pledge allegiance to Muhammad at Aqabah before the migration to Medina, becoming one of the Ansar. He participated in the battle of Badr and other following engagements. He acted as a scribe of Muhammad, writing letters for him. Ubayy was one of the few who put the Qur’anic suras into writing and had a Mushaf of his own. Following Muhammad’s death, he was one of the twenty five people who knew the Qur’an completely by heart. He was part of the consultative group (mushawarah) to which the caliph Abu Bakr referred many problems. It included Umar, Uthman, Ali, Abd-al-Rahman ibn Awf, Muadh ibn Jabal, Ubayy ibn Kab and Zayd ibn Thabit. Umar later consulted the same group when he was caliph. Specifically for fatwas (legal judgments) he referred to Ali ibn Abi Talib, Uthman, Ubayy and Zayd ibn Thabit. He is well regarded by Shi’as. “O Abu Mundhir! 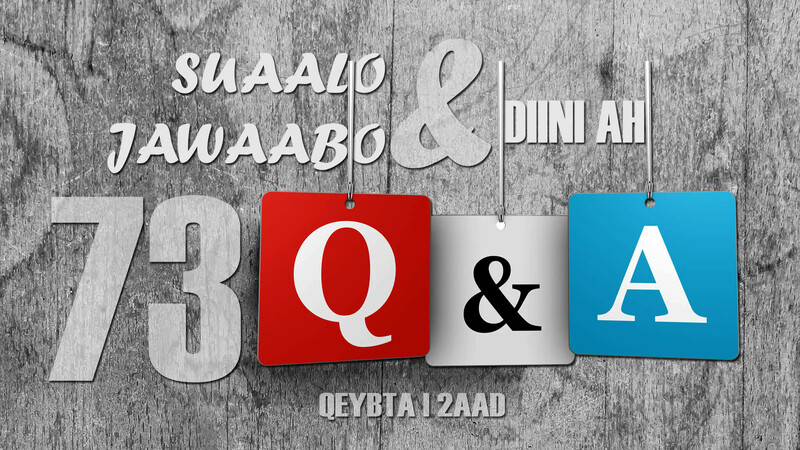 Which verse of the Book of Allah (swt) is the greatest?” asked the Messenger of Allah (saw). “Allah and His Messenger know best,” came the reply. This Abu Mundhir whom the Prophet (saw) congratulated on the knowledge and understanding that Allah (swt) had bestowed on him, was Ubay ibn Ka’b, one of his distinguished companions and a person of high esteem in the early Muslim community. Ubay (ra) was one of the Ansar and belonged to the Khazraj tribe. He was one of the first persons of Yathrib to accept Islam. He pledged allegiance to the Prophet (saw) at al-‘Aqabah before the Hijrah. He participated in the Battle of Badr and other engagements thereafter. Ubay (ra) was one of the select few who committed the Qur’anic revelations to writing and had a Mus-haf of his own. He acted as a scribe of the Prophet (saw), writing letters for him. At the demise of the Prophet (saw), he was one of the twenty-five or so people who knew the Qur’an completely by heart. His recitation was so beautiful and his understanding so profound that the Prophet (saw) encouraged his companions to learn the Qur’an from him and from three others. “Ubay is right,” concluded ‘Umar (ra). After the demise of the Prophet (saw), Ubay (ra) remained strong in his attachment to Islam and his commitment to the Qur’an and Sunnah of the Prophet (saw). He was constant in his ‘ibadah and would often be found in the mosque at night, after the last obligatory prayer had been performed, engaged in worship or in teaching. Once he was sitting in the mosque after Salat with a group of Muslims, making supplication to Allah (swt). Taqwa remained the guiding force in Ubay’s life. He lived simply and did not allow the world to corrupt or deceive him. He had a good grasp of reality and knew that however a person lived and whatever comforts and luxuries he enjoyed, these would all fade away and he would have only his good deeds to his credit. If he is afflicted by any misfortune, he remains patient and steadfast. If he is given anything, he is grateful. If he speaks, he speaks the truth. If he passes a judgment on any issue, he is just. Ubay (ra) attained a position of great honor and esteem among the early Muslims. ‘Umar (ra) called him the “sayyid of the Muslims” and he came to be widely known by this title. He was part of the consultative group (mushawarah) to which Abu Bakr, as Khalifah, referred many problems. ‘Umar (ra) later consulted the same group when he was Khalifah. Specifically for fatwas (legal judgments) he referred to ‘Uthman, Ubay and Zayd ibn Thabit (ra). “I do not want you religion to be corrupted,” replied ‘Umar (ra). Ubayy (ra) was probably prompted to put the question to ‘Umar (ra) when he saw that Muslims were tending to drift from the purity of faith and self-sacrifice of the days of the Prophet (saw). He was known to be especially critical of the excessively polite and sycophantic attitude of many Muslims to their governors who he felt brought ruin both to the governors and those under them. Ubay (ra) for his part was always honest and frank in his dealings with persons in authority and feared no one but Allah (swt). He acted as a sort of conscience to the Muslims. Ubay (ra) died in the year 29 AH during the Khalifah of ‘Uthman (ra). No study of the early transmission of the Qur’an would be complete without an analysis of the contribution of Abdullah ibn Mas’ud, one of the most prominent of Muhammad’s companions. He was one of his earliest disciples and we are told that he was “the first man to speak the Qur’an loudly in Mecca after the apostle” (Ibn Ishaq, Sirat Rasulullah, p.141). The same tradition in the other great work of hadith also specifically mentions that Muhammad “started from him” (Sahih Muslim, Vol. 4, p.1312), showing that he was deliberately mentioned first, indicating that Muhammad regarded him as the foremost authority on the Qur’an. Among others mentioned is Ubay ibn Ka’b who, as we have already seen, also compiled a separate codex of the Qur’an before it was destroyed by Uthman. Narrated Abdullah (bin Mas’ud) (ra): By Allah other than Whom none has the right to be worshipped! There is no Sura revealed in Allah’s Book but I know at what place it was revealed; and there is no verse revealed in Allah’s Book but I know about whom it was revealed. And if I know that there is somebody who knows Allah’s Book better than I, and he is at a place that camels can reach, I would go to him. (Sahih al-Bukhari, Vol. 6, p.488). In a similar tradition we read that he added to this that he had recited more than seventy surahs of the Qur’an in Muhammad’s presence, alleging that all Muhammad’s companions were aware that no one knew the Qur’an better than he did, to which Shaqiq, sitting by, added “I sat in the company of the Companions of Muhammad (may peace be upon him) but I did not hear anyone having rejected that (that is, his recitation) or finding fault with it” (Sahih Muslim, Vol. 4, p.1312). Abdullah ibn Mas’ud obviously had an exceptional knowledge of the Qur’an and, as Muhammad himself singled him out as the first person to whom anyone should go who wished to learn the Qur’an, we must accept that any codex compiled by him would have as much claim to accuracy and completeness as any other. That he was one of the companions who did in fact collect the Qur’an apart from Zaid ibn Thabit cannot be disputed. Ibn Abi Dawud devotes no less than nineteen pages of his work on the compilation of the Qur’an manuscripts to the variant readings found between his text and that of Zaid which was ultimately the one standardised by Uthman (Kitab al-Masahif, pp. 54-73). Having become a Muslim before even Umar, the second Caliph of Islam, Ibn Mas’ud had been on the hijrahs to both Abyssinia and Medina and was one of the highly regarded muhajirun who had followed Muhammad from Mecca. He participated in both the Battles of Badr and Uhud and his close association with the Prophet of Islam and prestige in the knowledge of the Qur’an resulted in his codex of the Qur’an being accepted as the standard text of the Muslims at Kufa before the recension done by Uthman. His reaction to Uthman’s order that all codices of the Qur’an other than Zaid’s should be burnt is most informative. “There is no indication that he ever objected to the ‘text of Hafsah’ during the entire Caliphate of Umar” (Al-Balaagh, op.cit., p.1). But why should he have raised any objection to Zaid’s codex at that time? His own codex had become well-established at Kufa while Zaid’s had receded into relative obscurity, simply being retained by the Caliph without any attempt whatsoever to establish it as the standard text for the Muslim community. It was only when this codex suddenly came into prominence and was decreed to be the official text during Uthman’s reign that Ibn Mas’ud found his codex being threatened. He immediately refused to hand it over for destruction and we are told by Ibn al-Athir in his Kamil (III, 86-87) that when the copy of Zaid’s text arrived for promulgation at Kufa as the standard text, the majority of Muslims there still adhered to Ibn Mas’ud’s text. It must be quite obvious to any objective scholar that, just as Zaid had copied out a codex for Abu Bakr, so Ibn Mas’ud simultaneously compiled a similar codex and, given the latter’s exceptional knowledge of the Qur’an, his text must be considered to be as accurate and reliable as that of Zaid. The two codices were of probable equal authority and reliability. Because there are a wealth of evidences of differences between the two, however, and as it was Zaid’s text that became the standardised text after Uthman’s recension and the only one used to this day in the Muslim world, it is intriguing to find Muslim writers trying to play down and minimise the importance of Ibn Mas’ud’s codex. Desai claims that “his copy contained notes explanations as well. His copy was for his personal use, not for the use of the Ummah at large” (op.cit., p.45). No evidence is given for this claim. One of the great deficiencies in Desai’s booklet is the almost total lack of documentation in respect of the factual allegations the author makes. Virtually nowhere do we find a reference to the traditional chapter and verse. The reader is expected to presume that the facts he alleges are well-founded. Desai leaves no room in his booklet for references by which a student can check whether the contents are factually reliable. In fact it is well known that Ibn Mas’ud’s codex, far from being for his personal use only, was widely used in the region where he was based and, just as Ubay ibn Ka’b’s codex became the standard text Syria before Uthman’s recension, so Ibn Mas’ud’s likewise became the standard text for the Muslim ummah in and around Kufa in Iraq (Ibn Abi Dawud, Kitab, p. 13). Ahmad Von Denffer likewise attempts to minimise the importance of the other codices, saying of Ubayy ibn Ka’b’s codex that “it was a mushaf for his own personal use, in other words, his private notebook” and goes on to say of all the other codices that these “personal notebooks became obsolete and were destroyed” (Ulum al-Qur’an, p.49). It is virtually impossible to understand how whole manuscripts of the Qur’an, carefully transcribed and widely used in the various provinces, can be reduced to the status of “personal notebooks”, least of all how such codices could have become “obsolete” at any time. Muslim writers resort to such strange reasonings solely because they are determined to maintain the declared textual perfection of the Qur’an as it stands today to the last dot and letter. As this text is only a revision and reproduction of the codex of just one man, Zaid ibn Thabit, they have to circumvent the fact that other equally authoritative codices of single companions existed and that all of them, Zaid’s included, differed in many key respects. Thus the text of Zaid has become elevated to “official” status right from the time of its compilation, the other texts have been downgraded to the status of “personal notebooks”, and the argument runs that they were destroyed because they differed from one another without any consideration for the fact that Zaid’s own codex likewise differed from each of them in turn. There are solid evidences to show why Abdullah ibn Mas’ud at first refused to hand over his codex for destruction. While Desai claims that it was only because he attached sentimental value to his compilation (p.45) and Siddique states that there was no difference between his text and Zaid’s, we find, in fact, that it was precisely because the great companion of Muhammad considered his own text to be superior to and more authentic than Zaid’s that he was angered at Uthman’s decree. Before Hudhayfah had ever gone to Uthman to call upon him to standardise a single text of the Qur’an, Abdullah ibn Mas’ud had some sharp words with him and reacted to his proposal that the different readings in the various provinces should be suppressed. Hudhaifah said “It is said by the people of Kufa, ‘the reading of Abdullah (ibn Mas’ud)’, and it is said by the people of Basra, ‘the reading of Abu Musa’. By Allah! If I come to the Commander of the Faithful (Uthman), I will demand that they be drowned”. Abdullah said to him, “Do so, and by Allah you will also be drowned, but not in water”. (Ibn Abi Dawud, Kitab al-Masahif, p.13). Hudhaifah went on to say, “0 Abdullah ibn Qais, you were sent to the people of Basra as their governor (amir) and teacher and they have submitted to your rules, your idioms and your reading”. He continued, “0 Abdullah ibn Mas’ud, you were sent to the people of Kufa as their teacher who have also submitted to your rules, idioms and reading”. Abdullah said to him, “In that case I have not led them astray. There is no verse in the Book of Allah that I do not know where it was revealed and why it was revealed, and if I knew anyone more learned in the Book of Allah and I could be conveyed there, I would set out to him”. (Ibn Abi Dawud, Kitab al-Masahif, p.14). Modern writers such as Siddique and others maintain that the only differences between the recitations of the text and the reading of each companion (qira’at) were in pronunciations and dialectal expressions, yet it is once again obvious that what Hudhayfah had in mind was the elimination of the actual written codices being used by Abdullah ibn Mas’ud and the others – you cannot drown a verbal recitation – and it was this proposal which so angered Ibn Mas’ud and which proves that the differences in reading were in the texts themselves. In other traditions we find clear evidences that he regarded Zaid’s knowledge of the Qur’an, and therefore his written codex of the text, as inferior to his. After all, Abdullah ibn Mas’ud had become a Muslim at Mecca before Zaid was even born and he had enjoyed years of direct acquaintance with Muhammad while the early portions of the Qur’an were being delivered before Zaid ever accepted Islam. Abdullah ibn Mas’ud said, “I recited from the messenger of Allah (saw) seventy surahs which I had perfected before Zaid ibn Thabit had embraced Islam”. (Ibn Abi Dawud, Kitab al-Masahif, p.17). “I acquired directly from the messenger of Allah (saw) seventy surahs when Zaid was still a childish youth – must I now forsake what I acquired directly from the messenger of Allah?” (Ibn Abi Dawud, Kitab al-Masahif, p.15). “The people have been guilty of deceit in the reading of the Qur’an. I like it better to read according to the recitation of him (Prophet) whom I love more than that of Zayd Ibn Thabit. By Him besides Whom there is no god! I learnt more than seventy surahs from the lips of the Apostle of Allah, may Allah bless him, while Zayd Ibn Thabit was a youth, having two locks and playing with the youth”. (Ibn Sa’d, Kitab al-Tabaqat al-Kabir, Vol. 2, p.444). In the light of all these traditions, which can hardly be discounted, the evasive explanations of modern Muslim writers cannot be accepted. Abdullah ibn Mas’ud clearly resisted Uthman’s order, not because of sentiment as Desai suggests, but clearly because he sincerely believed that his text of the Qur’an, gained firsthand from Muhammad himself, was more authentic than the text of Zaid. This conclusion cannot seriously be resisted by a sincere student of the history of the Qur’an text and its initial compilation. It is also quite clear that the differences in reading were not confined to forms of dialect in pronunciation but in the actual contents of the text itself. An examination of some of these textual differences will show just how extensive those variant readings really were. One of the anomalies recorded in respect of Ibn Mas’ud’s text is that it is said to have omitted the Suratul-Fatihah, the opening surah, and the mu’awwithatayni, the two short surahs with which the Qur’an ends (Surahs 113 and 114). The form of these surahs has some significance – the first is purely in the form of a prayer to Allah and the last two are “charm” surahs, being recommended incantations of refuge with Allah which Muslims should recite as protection against sinister forces and practices. One tradition states that Ubayy ibn Ka’b was at one time challenged with the suggestion that Ibn Mas’ud had made certain negative statements about these surahs and he replied that he had asked Muhammad about them and was informed that they were a part of the revelation of the Qur’an and should be recited as such (Sahih al-Bukhari, Vol. 6, p.472). The possibility that Ibn Mas’ud may have denied that these three surahs were a part of the Qur’an vexed early Muslim historians. The well-known Iranian philosopher and historian Fakhruddin ar-Razi, who wrote a commentary on the Qur’an titled Mafatih al-Ghayb (“The Keys of the Unseen”) and who lived in the sixth century of Islam (1149-1209 AD) gave some attention to this problem and sought to prove that the allegations were unfounded. Imam Fakhruddin said that the reports in some of the ancient books that Ibn Mas’ud denied that Suratul-Fatiha and the Mu’awwithatayni are part of the Qur’an are embarrassing in their implications… But the Qadi Abu Bakr said “It is not soundly reported from him that they are not part of the Qur’an and there is no record of such a statement from him. He omitted them from his manuscript as he did not approve of their being written. This does not mean he denied they were part of the Qur’an. In his view the Sunnah was that nothing should be inscribed in the text (mushaf) unless so commanded by the Prophet (saw) … and he had not heard that it had been so commanded”. (as-Suyuti, Al-Itqan fii Ulum al-Qur’an, p.186). Ibn Hazm said in the Muhalla, “This is a lie attributed to Ibn Mas’ud. Only the reading of Asim from Zirr is authentic and in that are both the Fatiha and Mu’awwithatayni”. (as-Suyuti, Al-Itqan fii Ulum al-Qur’an, p.187). The record goes on to say that Ibn Hajar al-Asqalani however, in his commentary on the Sahih of al-Bukhari (his famous Fath al-Baari), accepted these reports as sound, quoting authorities who stated that Ibn Mas’ud would not include the two “charm” surahs in his manuscript as Muhammad had, to his knowledge, only commanded that they be used as incantations against evil forces. He regarded the isnad (the chain of transmitters) for this record as totally sound and attempted to harmonise the conflicting records instead, suggesting that Ibn Mas’ud accepted the Fatiha and “charm” surahs as genuinely revealed but was reluctant to inscribe them in his written text. As Uthman ordered all the codices of the Qur’an other than Zaid’s to be destroyed and as Ibn Mas’ud was eventually compelled to hand his over for elimination, it cannot be determined whether the three relevant surahs were actually included in his codex or not. If they were omitted, the reason is either that he was unaware that Muhammad had expressly stated that they were part of the Qur’an text (as alleged by Ubayy) or, less probably, that Ibn Mas’ud had actually determined that they were not part of the actual kitabullah, the Book of Allah, and that the other companions had assumed they were because they had come to Muhammad in the same form as the other surahs of the Qur’an. When we come to the rest of the Qur’an, however, we find that there were numerous differences of reading between the texts of Zaid and Ibn Mas’ud. As mentioned already the records in Ibn Abi Dawud’s Kitab al-Masahif fill up no less than nineteen pages and, from all the sources available, one can trace no less than 101 variants in the Suratul-Baqarah alone. We shall mention just a few of the differences here in illustration of the nature of the variations between the texts. Surah 2.275 begins with the words Allathiina yaakuluunar-ribaa laa yaquumuuna – “those who devour usury will not stand”. Ibn Mas’ud’s text had the same introduction but after the last word there was added the expression yawmal qiyaamati, that is, they would not be able to stand on the “Day of Resurrection”. The variant is mentioned in Abu Ubaid’s Kitab Fadhail al-Qur’an (cf. Nöldeke, Geschichte, 3.63; Jeffery, Materials, p.31). The variant was also recorded in the codex of Talha ibn Musarrif, a secondary codex dependent on Ibn Mas’ud’s text, Taiha likewise being based at Kufa in Iraq where Ibn Mas’ud was based as governor and where his codex was widely followed (Jeffery, p.343). Surah 5.91, in the standard text, contains the exhortation fasiyaamu thalaathati ayyaamin’ – “fast for three days”. Ibn Mas’ud’s text had, after the last word, the adjective mutataabi’aatin, meaning three “successive” days. The variant derives from at-Tabari (7.19.11 – cf. Nöldeke, 3.66; Jeffery, p.40) and was also mentioned by Abu Ubaid. This variant reading was, significantly, found in Ubayy ibn Ka’b’s text as well (Jeffery, p.129) and in the texts of Ibn Abbas (p.199) and Ibn Mas’ud’s pupil Ar-Rabi ibn Khuthaim (p.289). Surah 6.153 begins Wa anna haathaa siraatii – “Verily this is my path”. Ibn Mas’ud’s text read Wa haathaa siraatu rabbakum – “This is the path of Your Lord”. The variant derives again from at-Tabari (8.60.16 – cf. Nöldeke 3.66; Jeffery, p.42). Ubayy ibn Ka’b had the same reading, except that for rabbakum his text read rabbika (Jeffery, p.131). The secondary codex of Al-A’mash, mentioned by Ibn Abi Dawud in his Kitab al-Masahif (p.91), also began with the variant wa haathaa as in the texts of Ibn Mds’ud and Ubayy ibn Ka’b (Jeffery, p.318). Ibn Abi Dawud also adds a further variant, suggesting that Ibn Mas’ud read the word siraat with the Arabic letter sin rather than the standard sad (Kitab al-Masahif, p.61). Surah 33.6 contains the following statement about the relationship between Muhammad’s wives and the believers: wa azwaajuhuu ummahaatuhuu – “and his wives are their mothers”. Ibn-Mas’ud’s text added the words wa huwa abuu laahum – “and he is their father”. The variant was also recorded by at-Tabari (21.70.8 – cf. Nöldeke 3.71; Jeffery p.75). This variant was likewise recorded in the codices of Ubayy ibn Ka’b (Jeffery, p.156) as well as those of Ibn Abbas (p.204), Ikrima (p.273) and Mujahid ibn Jabr (p.282), except that in these three cases the statement that Muhammad is the father of the believers precedes that which makes his wives their mothers. In the codex of Ar-Rabi ibn Khuthaim, however, where the variant also occurs, it is placed in the same position in the text as in the codices of Ibn Mas’ud and Ubayy (p.298). The considerable number of references for this variant reading argue strongly for its possible authenticity over and against its omission in the codex of Zaid ibn Thabit. These four examples are of texts where the variant consisted of the inclusion of extra words or clauses not found in Zaid’s codex and, in each case, the variant is supported by inclusion in other codices, notably those included in Ubayy’s text. The majority of variants, however, relate to consonantal variants in individual words or different forms of these words. In some cases whole words were omitted, such as in Surah 112.1 where Ibn Mas’ud omitted the word qul – “say” as did Ubayy ibn Ka’b (Fihrist S.26 Z.26 – cf. Nöldeke 3.77; Jeffery, pp. 113 and 180). In other cases the variant related to the form of a word which also slightly altered its meaning, as in Surah 3.127 where Ibn Mas’ud and Ubayy both read wa saabiquu (“be ahead”) for wa saari’uu (“be quick”) in the standard text (cf. Nöldeke, 3.64; Jeffery, pp. 34 and 125). In yet other cases one single word might be added not affecting the sense of the text, as in Surah 6.16 where once again both Ibn Mas’ud and Ubayy recorded the same variant, namely yusrifillaahu – “averted by Allah” – for the standard yusraf – “averted” (recorded from Maki’s Kitab al-Kasf, cf. Nöldeke, 3.66; Jeffery, pp. 40 and 129). These are but a small selection of the hundreds of variant readings between the texts of Ibn Mas’ud and Zaid giving a rough idea of the kind of differences that existed between their codices. They do serve, however, to show that these differences in their readings were not purely dialectal or confined to the pronunciation of the text as is conveniently suggested by writers like Siddique who are bound to the popular dogma “one text, no variants”, but rather radically affected the contents of the text itself. The extent of the variant readings between all the codices in existence at the time of Uthman before he singled out that of Zaid to be the preferred text at the expense of the others is so great – they fill up no less than three hundred and fifty pages of Jeffery’s Materials for the History of the Text of the Qur’an – that one can understand why the others were ordered to be destroyed. Far from the Qur’an being universally accepted in a standard form there were, on the contrary, vast differences in the texts distributed in the various provinces. Uthman’s action brought about the standardisation of a single text for the whole Muslim world – it was not a perpetuation of an already existing unity – and Zaid’s codex, which from the evidences we have considered had no greater claim to authenticity than Ibn Mas’ud’s, was simply arbitrarily chosen as the standard text because it was close at hand in Medina, had been compiled under official supervision, and had not become the accepted or rival text of any one province like some of the others before Uthman’s decree. Before closing this chapter let us give some attention to the other great compiler of the Qur’an, Ubay ibn Ka’b. Affan ibn Muslim informed us … on the authority of Anas ibn Malik, he on the authority of the Prophet, may Allah bless him; he said: The best reader (of the Qur’an) among my people is Ubay ibn Ka’b. (Ibn Sa’d, Kitab al-Tabaqat al-Kabir, Vol. 2, p.441). Anas b. Malik reported that Allah’s Messenger (may peace be upon him) said to Ubayy b. Ka’b: I have been commanded to recite to you the Sura (al-Bayyinah), which opens with these words Lam yakunal-lathinna kafaruu. He said: Has he mentioned to you my name? He said: Yes, thereupon he shed tears of joy. (Sahih Muslim, Vol. 4, p.1313). We are not informed as to why Muhammad considered himself especially obliged to commit parts of the Qur’an to Ubayy but these two traditions do serve to show how highly regarded he was as an authority on the Qur’an. Nonetheless his codex also contained a vast number of readings which varied from Zaid’s text and, as we have already seen, these readings often agreed with Ibn Mas’ud’s text instead. The addition of the word mutataabi’aatin in Surah 5.91, which we have already seen was recorded by at-Tabari as part of the codex of Ibn Mas’ud, was independently attributed to Ubayy as well (Ibn Abi Dawud, Kitab al-Masahif, p.53). His order of Surahs, in some ways similar to Zaid’s, was nonetheless different at many points (as-Suyuti, Al-Itqan fii Ulum al-Qur’an, p.150). 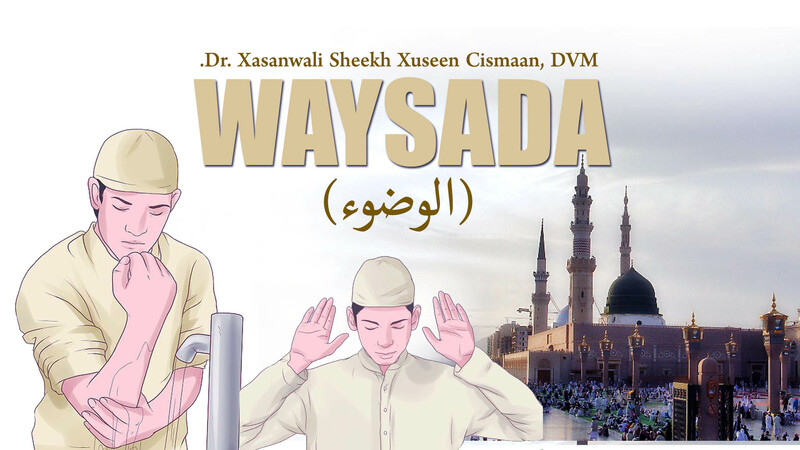 For the standard reading wa yush-hidullaaha in Surah 2.204 he read wa yastash-hidullaaha (cf. Nöldeke 3.83; Jeffery, p.120). He omitted the words in khiftum from Surah 4.101 (cf. Nöldeke 3.85; Jeffery, p.127). He read mutathab-thibiina for muthabthabiina in Surah 4.143 (cf. Jeffery, p.127). There are a number of cases where whole clauses differed in his text. In Surah 5.48, where the standard text reads wa katabnaa ‘alayhim fiiha – “and We inscribed therein for them (the Jews)” – the reading of Ubayy ibn Ka’b was wa anzalallaahu alaa banii Isra’iila fiiha – “and Allah sent down therein to the Children of Israel” (cf. Nöldeke 3.85; Jeffery, p.128). From Abu Ubaid we find that, whereas Surah 17.16 in the standard text reads amarnaa mutrafiihaa fafasaquu, Ubay read this clause ba’athnaa akaabira mujri-miihaa fdmakaruu (cf. Nöldeke 3.88; Jeffery, p.140). One can go on and on to show how vastly Ubay’s text, like Ibn Mas’ud’s and all the others, is said to have differed from Zaid’s text which ultimately became standardised as the official reading of the Qur’an, but these examples serve once again to show that the variant readings were in the contents of the text itself and not just in niceties of pronunciation and recitation as many modern Muslim writers choose to assume. “Written in the text of Ubay ibn Ka’b were the Fatihal-kitab (the Opening Surah) and the Mu’awwi-thatayni (the Charm Surahs) and Allahumma innaa nasta’iinka (the opening words of Suratul-Khal’ meaning ‘O Allah, we seek your help’) and Allahumma ayyaaka na’budu (the opening words of Suratul-Hafd meaning ‘O Allah, we worship you’)”. (as-Suyuti, Al-Itqan fii Ulum al-Qur’an, p.153). Suyuti goes on to give the full text of these two surahs, stating that they were also found in the codex of Ibn Abbas following the reading of both Ubay and Abu Musa who also recorded them (Al-Itqan, p.154). Both surahs are similar to the Suratul-Fatihah, containing prayers to God for forgiveness and declarations of faith, praise, service and trust in his mercy. We are told that these are the supplications which Muhammad occasionally offered at his morning prayers after recitation of other surahs, being described as “the preserved suratal-quunut (chapters of humble obedience toward God) in the surahs respectively titled al-Khal’ and al-Hafd” (as-Suyuti, Al-Itqan, p.527). It is intriguing to consider that, in their likeness to the Suratul-Fatihah (which extends to their length also – the Fatihah has seven verses while the other two have been set out in three and six verses respectively – cf. Nöldeke, Geschichte 2.35), they were regarded as of equal authority from different stand-points by Ibn Mas’ud and Ubay respectively. The former had none of them in his codex, the latter all three! 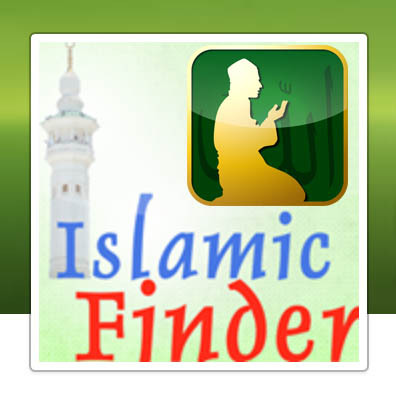 It seems that Muhammad himself used them interchangeably and that some of his companions were uncertain whether they should be recorded as part of the written kitabullah, especially as each one constitutes a prayer of supplication in the words of the believers and worshippers in contrast to the rest of the Qur’an where Allah is always made to be the speaker. We have, in this chapter, given some consideration to the codices of the two most prominent authorities on the Qur’an to show how considerably they differed from the codex of Zaid ibn Thabit and how uncertain much of the Qur’an text was when it was first compiled after the death of Muhammad. We could also go on to consider the numerous other codices that are recorded as having been transcribed before Uthman’s decree that they should be burnt, but let it suffice to say that in each of these as well there were large numbers of variant readings which have been preserved. (Uthman was able to blot out the written codices in which they were recorded, he was unable to erase them from the memories of those who had recorded them). In fact one should not speak so much of the readings in Zaid’s text as the “standard” readings and of the others as “variant” readings as though the latter were the exception. The truth is that, between all the codices that existed in the early days of Islam ibn Mas’ud’s, Zaid’s, Ubay’s, Abu Musa’s, etc. there were a wealth of differences and Zaid’s readings qualify just as readily as the others do. In his case his qira’at became standardised as the only readings allowable in the Muslim world and copies of his codex were distributed to replace the others in popular use purely to establish a uniform reading of the Qur’an text. The Qur’an as it has come down through the centuries is not the single text without any variants that has been divinely preserved without so much as a dispute regarding even one letter as Muslim writers conveniently choose to believe. Rather it is simply but one form of it as it existed during the first two decades after Muhammad’s death, the compilation of but one man, Zaid ibn Thabit, and commissioned for the Muslim world as the only text to be accepted, not by divine decree, but by the arbitrary discretion of yet another single individual, Uthman ibn Affan. The popular sentiment of the Muslims that the Qur’an has, right from the beginning, been preserved without the slightest variation in a single text would carry weight if it could be shown that this was the only text accepted by the whole Muslim community from the time of Muhammad himself. The records of the Qur’an’s compilation in the heritage of Islam, however, show convincingly that there were a whole number of different codices in vogue during the first generation after Muhammad’s demise and that these all varied considerably from one another. The adoption of a single text came only twenty years after his death and only through the unilateral choice of one of the varying codices as the standard text at the expense of the others. The universally accepted text of the Qur’an in the Muslim world is not so much the mushaf of Muhammad but rather the mushaf of Zaid ibn Thabit, and its unchallenged authority today has come about, not through divine decree or preservation, but by the imposition of one man acting on his own initiative against the many other codices of equal authority which he summarily consigned to the flames. Ubay ibn Ka’b ibn Ubayd ibn Zayd ibn Mua’wiyyah ibn Amr ibn Maalik ibn Najjar. Born during the time of the Prophet SallahAllaahu alayhi wasallam. He was a man of average height ; not tall and not short. He had white hair and beard. He memorized / collected the whole Qur’ân during the time of the Prophet (sallahAllaahu alayhi wasallam), and recited it to him (sallahAllaahu alayhi wasallam). – The Prophet (sallahAllaahu alayhi wasallam). – He used to write during the pre-Islamic days ; and in those days, those who knew to write among the Arabs were very few. – In the six books of hadeeth ; he has around sixty hadeeths narrated from him. “I saw the people of Madinah flocking their streets in groups. So I asked : What is the matter with them [people] ? There has been long discussion between the scholars regarding the exact date of his death. May Allaah have mercy on him , and to all the Pious Predecessors. And we ask Him The Most Mighty , The Most Praiseworthy to grant us beneficial knowledge and guide us to His straight path , imitating the best of the people in all affairs. Narrated by Ahmad 5/142, Muslim:810. Al-hilyah of Aboo Nua’ym : 1/253 , translation taken from sayings of the Salaf blog. Assalamu Caleykum Wa Raxmatullaahi, Wa Barakaatuhu. 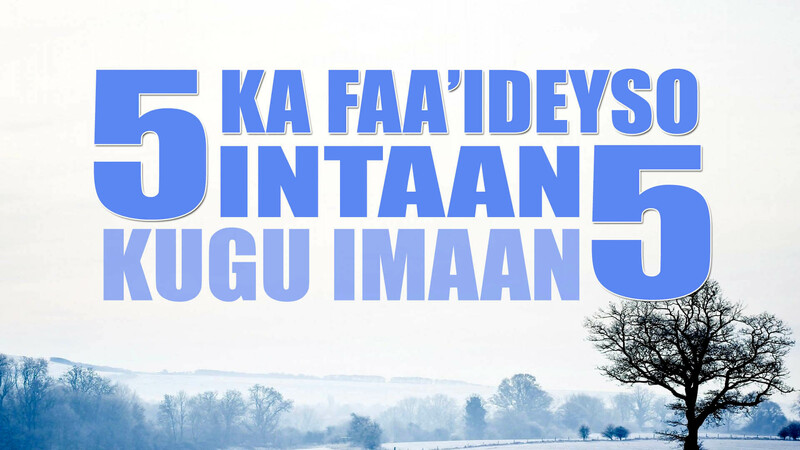 Bloggan wuxuu qaas u yahay taariikh raaca Siirada Rasuulka (CSW) iyo Asxaabtiisa Ridwaanu Allah Caleyhim, iyo Qisooyinka Ambiyada oo dhan (Caleyhim As-Salaam). ___________________________________________________________________ Asalamu Alaikum Wa Rahmat-tullah Wa Barakat-tuh. This Blog is dedicate the stories of the prophet Muhammad (peace be upon him) and his Companions, and Stories of all prophets. Wajibad waa ururiyaha qoraalada diiniga ah si ay dadka jeceli inay bartaan diintood ugu fududaato akhrinta iyo daabacaada qoraalada oo af-Somali iyo English ka kooban (Inshaa Allaah) hadan waxaan ku guda jirtaa si aan ugu soo kordhin lahayn qoraalada Carabiga ah. 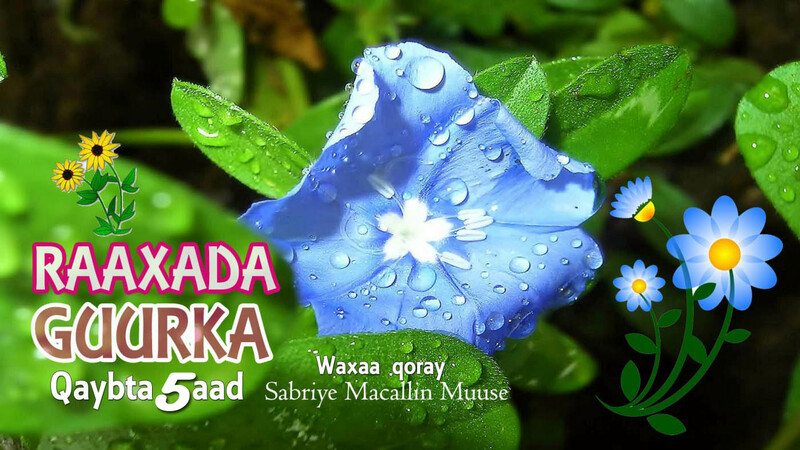 Sida Saxiix al-Bukhaari, Saxiix Muslim, Abuu Daawuud iyo qayrkoodba.